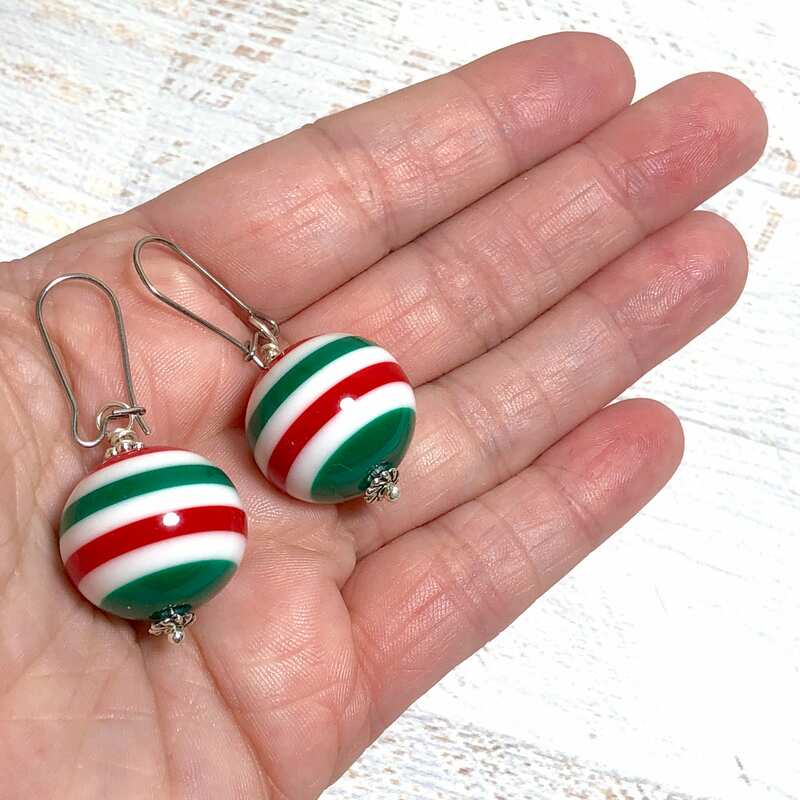 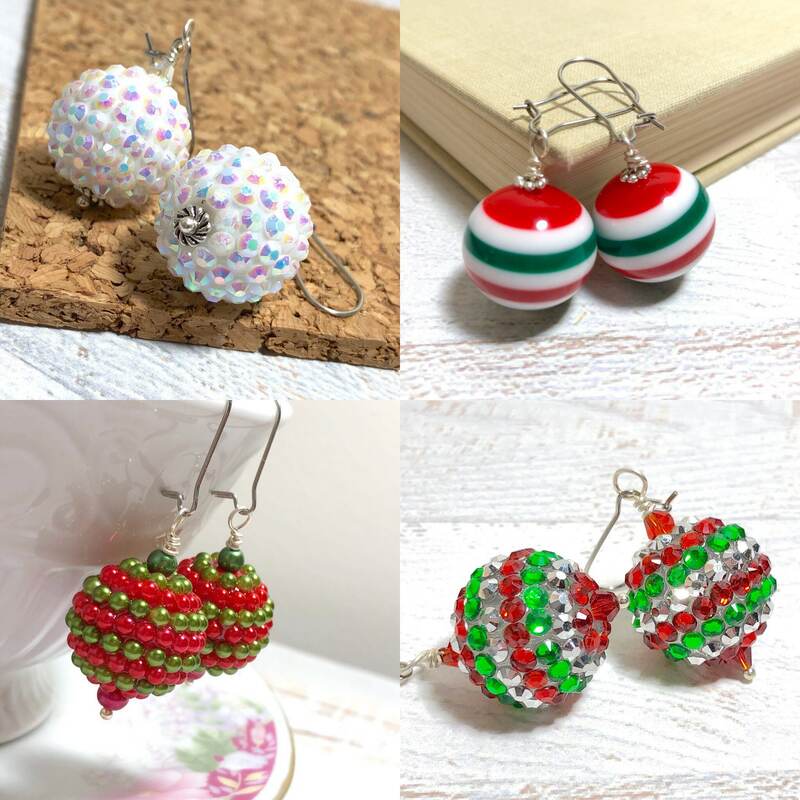 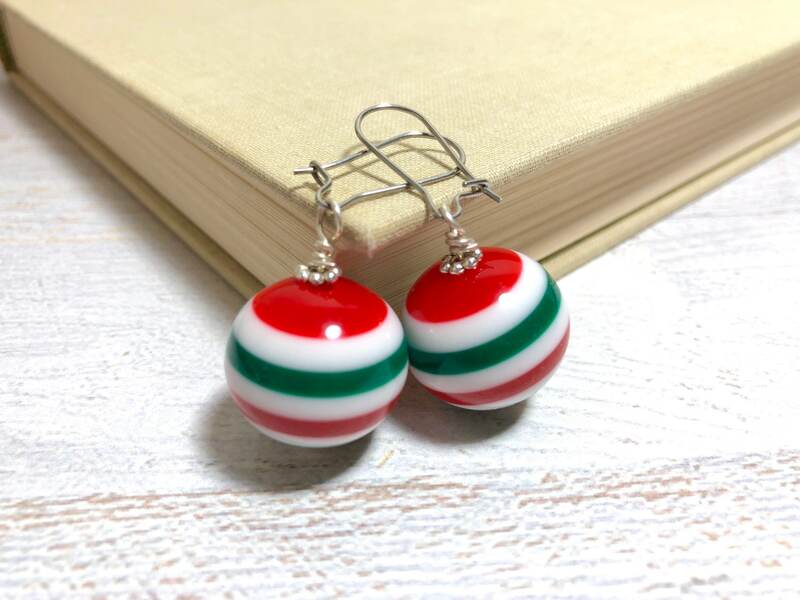 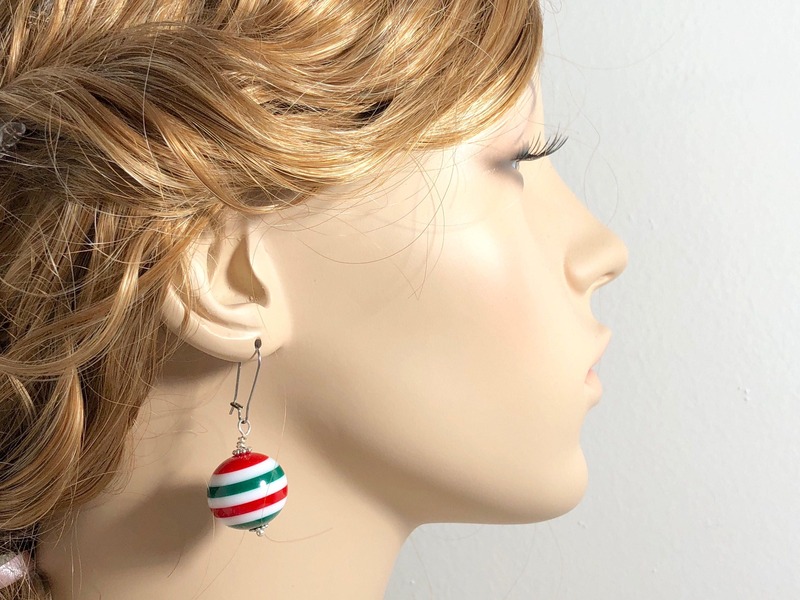 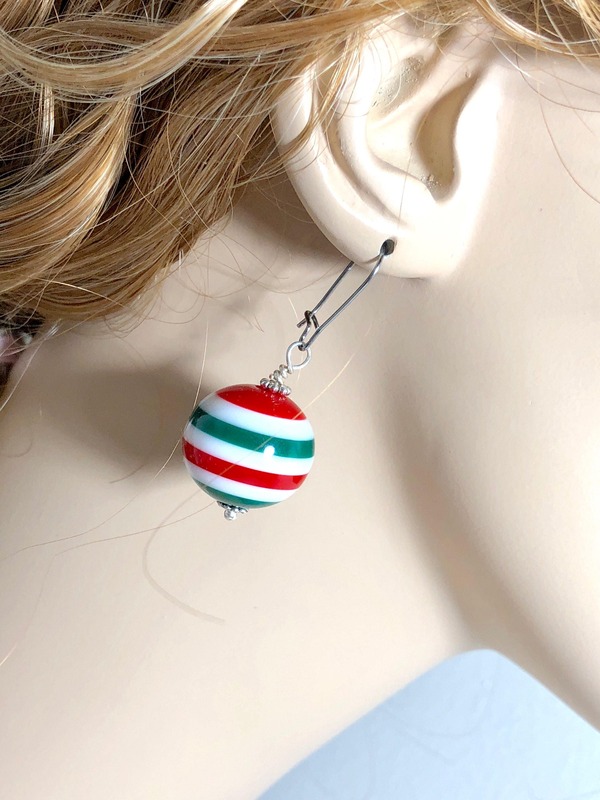 These chunky ball bead earrings with red, green and white strips are just perfect for Christmas. 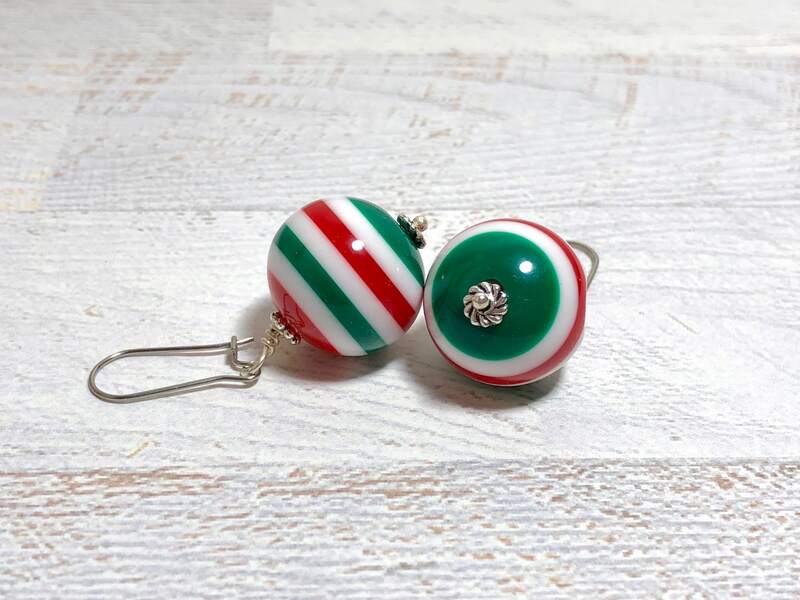 These hang about 1.75 inches from the top of the ear wire to the bottom of the bead. 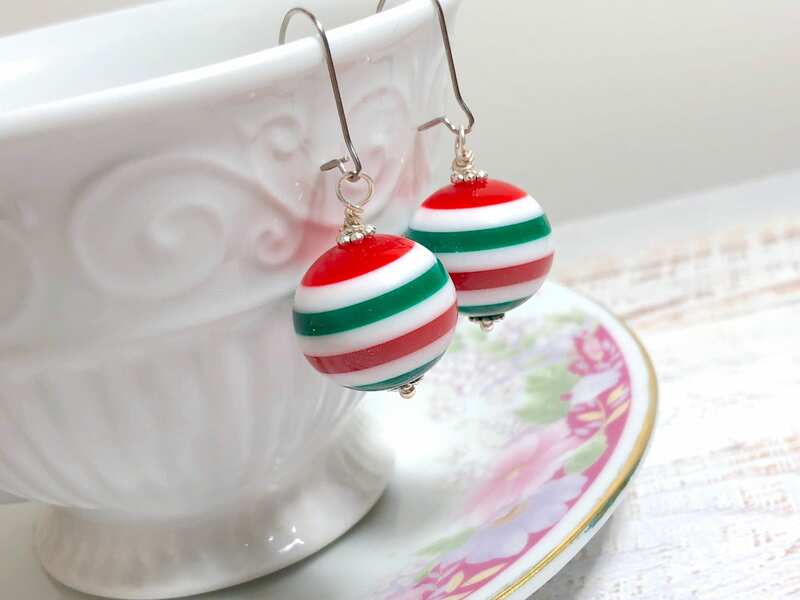 The beads are about 0.75 inches wide and the ear wires are kidney shaped surgical steel.